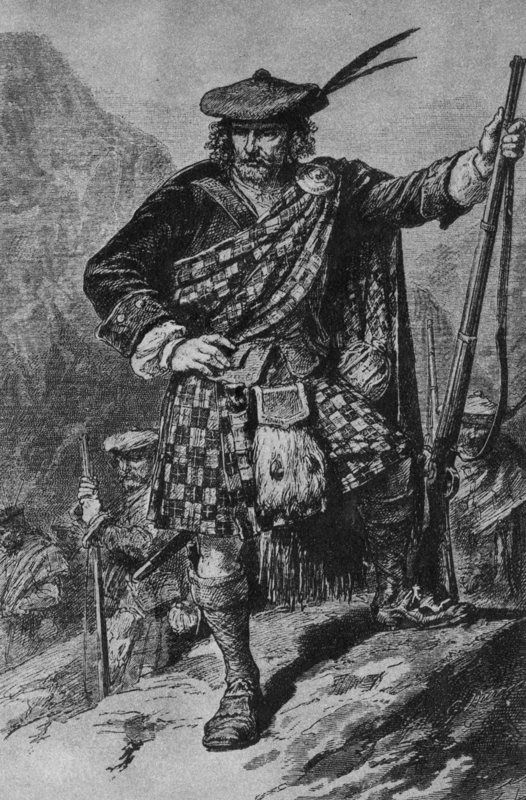 Rob Roy MacGregor, also known as Rob Roy Campbell during the proscription against the MacGregors. Rob Roy MacGregor was a famous outlaw in Scotland. My MacGregors are reportedly descended from a nephew of Rob Roy. He was also known as Rob Roy Campbell during the time that it was illegal to use the MacGregor name, upon pain of death. I MAY be descended from his older sister Christian but that has yet to be proven. There are Canadians descended directly from Rob Roy as one of his sons settled on Prince Edward Island though I am not descended from that branch.